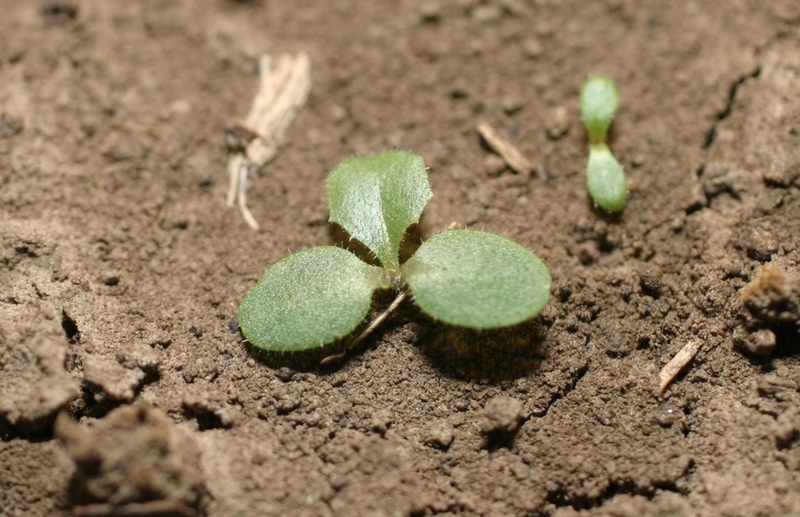 Cotyledons are oval. 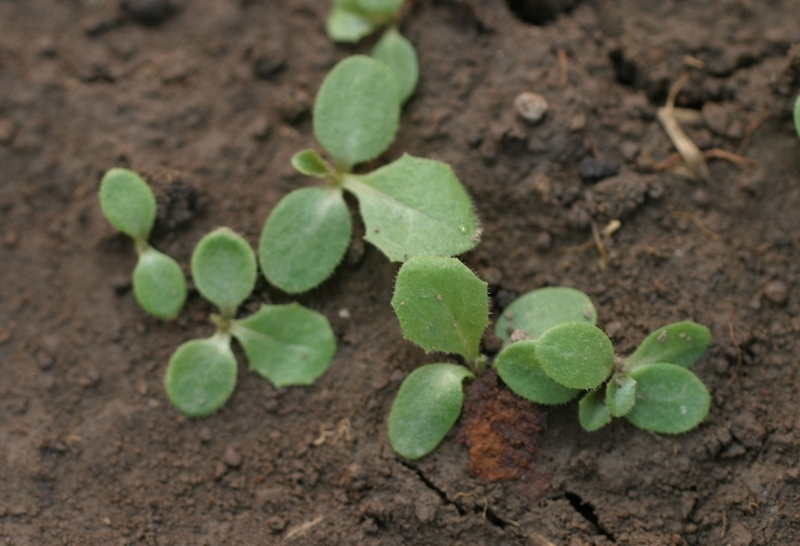 Young leaves are also oval with spiny leaf margins and spines along the midvein of the lower leaf surface. Arranged alternately along the stem, ranging from 2 to 14 inches long. 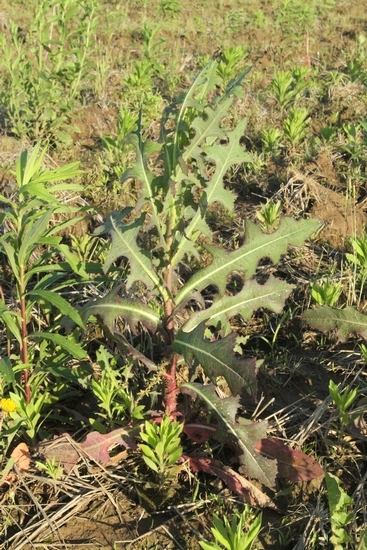 Most leaves are distinctly lobed and have leaf bases that clasp the stem. 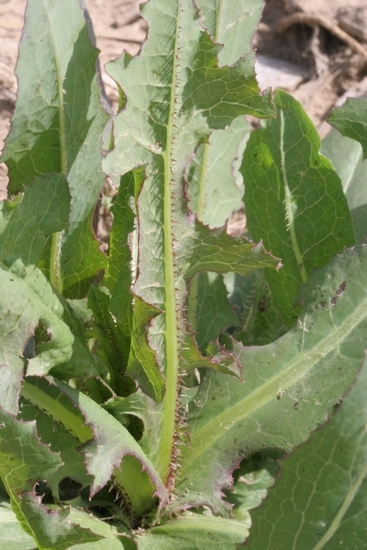 All leaves have prickles that occur along the leaf margins and along the midvein on the lower leaf surfaces. 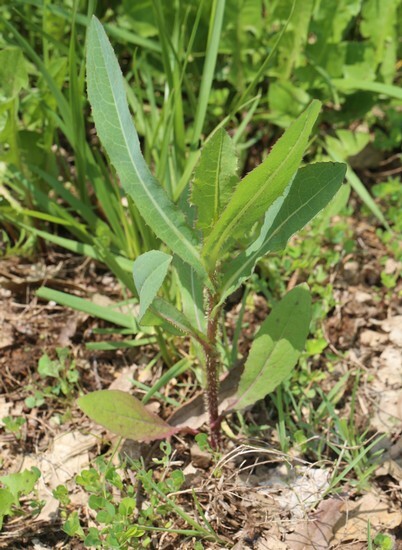 Leaves emit a milky sap when cut and become progressively smaller up the flowering stem. Erect, hollow, light green to white, reaching 5 feet in height. 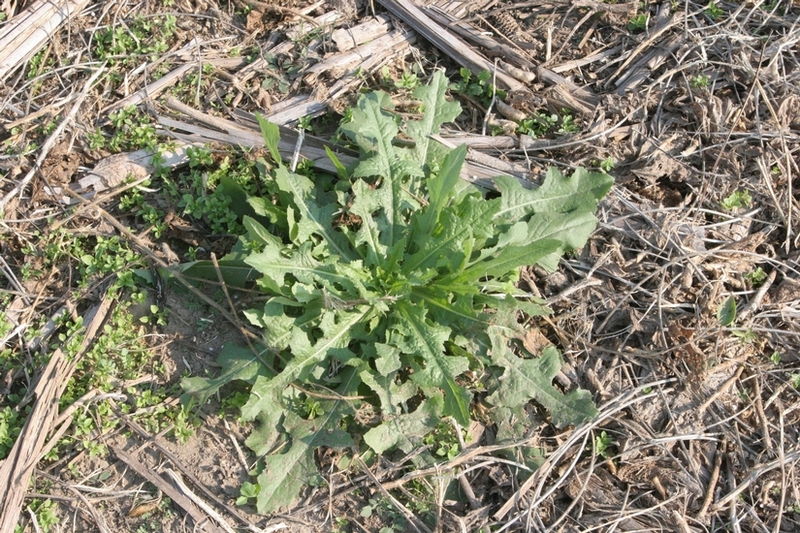 One stem emerges from the central rosette and this stem then branches in the upper portions of the plant. Stems emit a milky sap when cut. 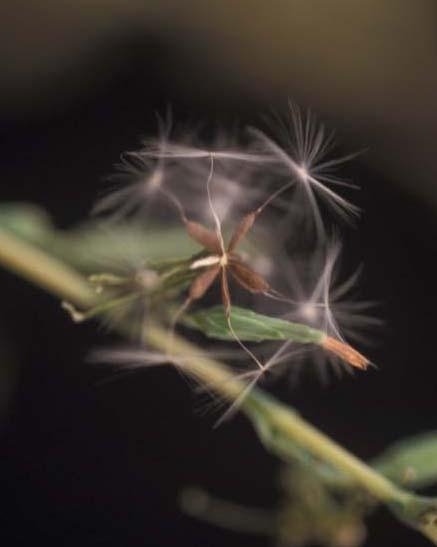 Many flowers are produced in the upper portions of the plant that branches outwards and resembles a cone. Individual flowers are approximately 10 mm wide and are composed of 5 to 12 yellow toothed petals. 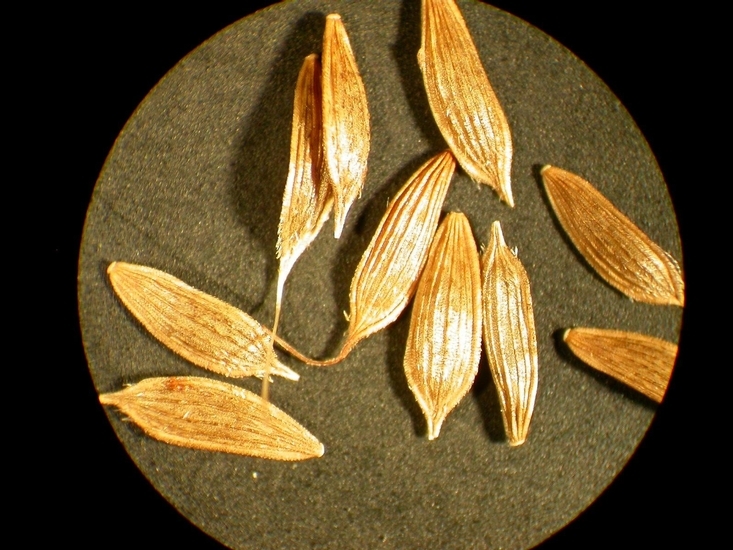 An achene containing a single seed. 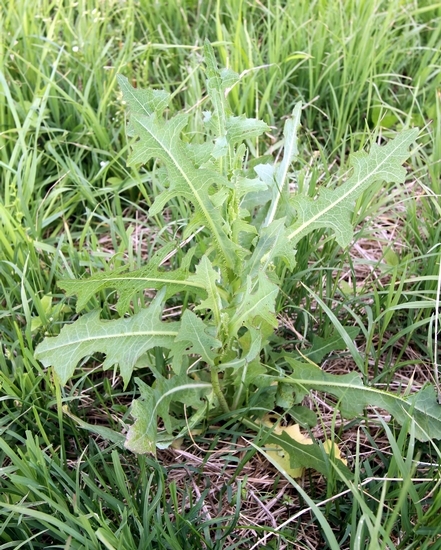 This weed has leaves with prickles along the margins and on the midveins of the lower leaf surfaces. 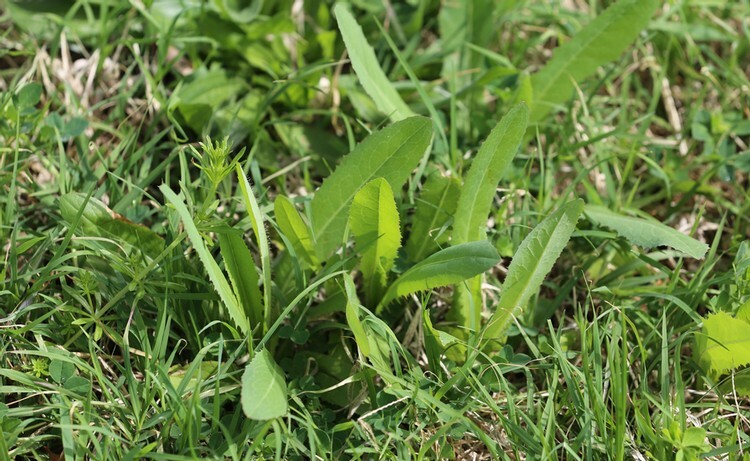 Additionally, all parts of the plants emit a milky sap when cut. 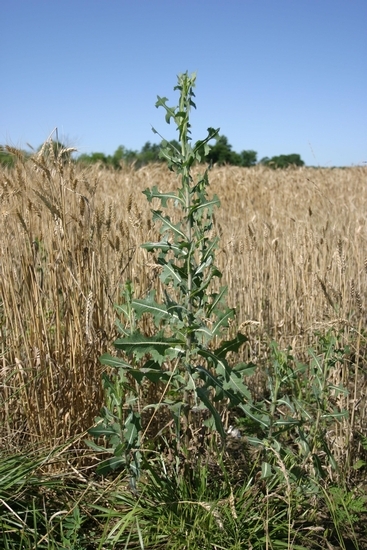 All of these characteristics help to distinguish prickly lettuce from similar species, such as Annual Sowthistle (Sonchus oleraceus) and other sowthistles.